The Controller is a universal intelligent lighting controller. 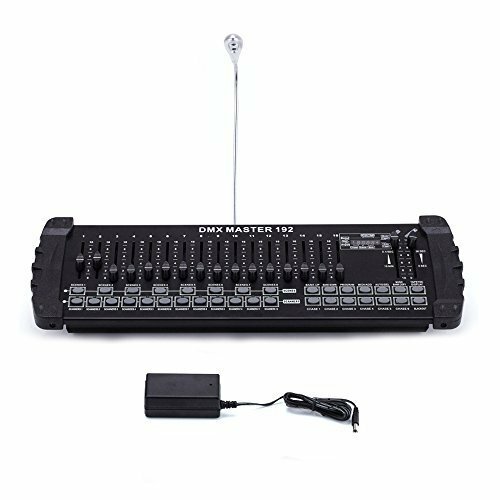 It allows the control of 12 fixtures composed of 16 channels each and up to 240 programmable scenes. Six chase banks can contain up to 240 steps composed of the saved scenes and in any order. Programs can be triggered by music. All chases can be executed at the same time. On the surface you will find various programming tools such as 16 universal channel sliders, quick access scanner and scene buttons, and an LED display indicator for easier navigation of controls and menu functions.